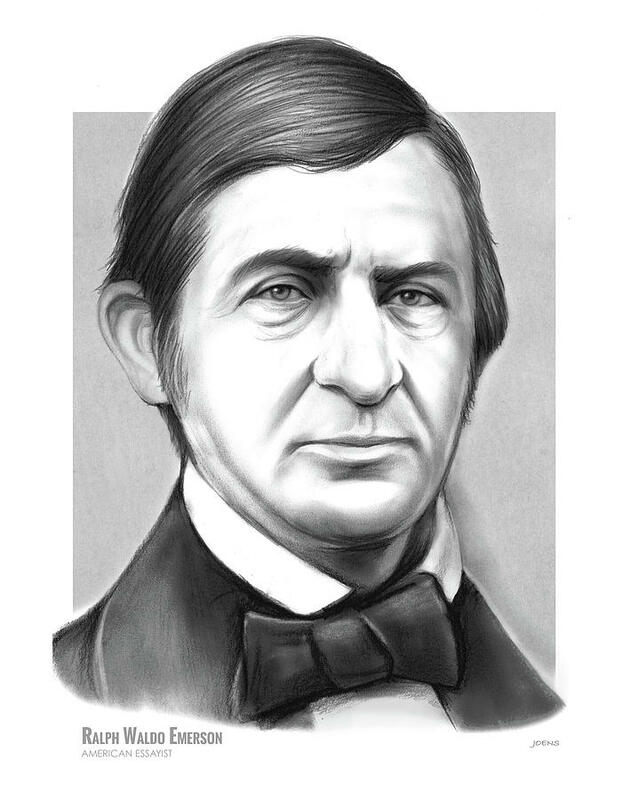 Ralph Waldo Emerson is a drawing by Greg Joens which was uploaded on March 22nd, 2018. Ralph Waldo Emerson (May 25, 1803 – April 27, 1882) was an American essayist, lecturer, philosopher and poet who led the transcendentalist movement of the mid-19th century. He was seen as a champion of individualism and a prescient critic of the countervailing pressures of society, and he disseminated his thoughts through dozens of published essays and more than 1,500 public lectures across the United States. Emerson gradually moved away from the religious and social beliefs of his contemporaries, formulating and expressing the philosophy of transcendentalism in his 1836 essay "Nature". Following this work, he gave a speech entitled "The American Scholar" in 1837, which Oliver Wendell Holmes Sr. considered to be America's "intellectual Declaration of Independence". 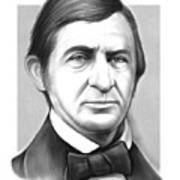 Emerson wrote most of his important essays as lectures first and then revised them for print. His first two collections of essays, Essays: First Series (1841) and Essays: Second Series (1844), represent the core of his thinking. They include the well-known essays "Self-Reliance", "The Over-Soul", "Circles", "The Poet" and "Experience". Together with "Nature", these essays made the decade from the mid-1830s to the mid-1840s Emerson's most fertile period. Emerson wrote on a number of subjects, never espousing fixed philosophical tenets, but developing certain ideas such as individuality, freedom, the ability for mankind to realize almost anything, and the relationship between the soul and the surrounding world. Emerson's "nature" was more philosophical than naturalistic: "Philosophically considered, the universe is composed of Nature and the Soul". Emerson is one of several figures who "took a more pantheist or pandeist approach by rejecting views of God as separate from the world." He remains among the linchpins of the American romantic movement, and his work has greatly influenced the thinkers, writers and poets that followed him. When asked to sum up his work, he said his central doctrine was "the infinitude of the private man." 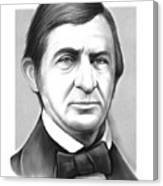 Emerson is also well known as a mentor and friend of Henry David Thoreau, a fellow transcendentalist. There are no comments for Ralph Waldo Emerson. Click here to post the first comment.